The ultimate comprehensive list of off grid resources and information, DIY, how-to’s and off grid information on the web. This massive list of off grid information is designed to give you the best off grid information on the web and save you time and money on your off grid projects. It will help you learn more about how to go off grid, how to setup solar power, wind turbines, and how to grow your own food. NOTE: This list is updated frequently so you’ll want to bookmark it for future reference to you can find it easily and get the latest updated off grid information. If you find this list useful please LIKE and SHARE with your friends on Facebook and Twitter and link to this resource. Thanks and enjoy! $300 Underground Greenhouse: Grow Your Own Food, Fruits & Veggies Year Round! Off grid living reference resources with in depth articles. 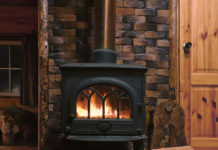 Building an Off Grid Cabin is easy. If you know how. These links will help teach you how. Here’s a good list of quality articles about off grid heating and cooling, solar heating and solar cooling while living off the grid. Tiny houses, what they are, what the tiny house movement is about, how to build tiny houses, and where you can buy tiny houses. Modern Homesteading: Why Grow Your Own Food? Off Grid World will be updating this list as time permits. 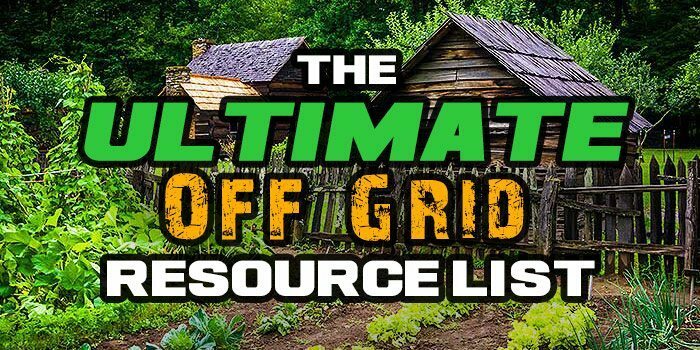 If you know of a great off grid resource your would like to include on this list, please send us an email and we’ll review the information for inclusion on this ultimate off grid resource list. If you enjoyed our off grid resource list, please like and share it with your on Facebook, Twitter, Pinterest and other social networks.